FIGURE 1. 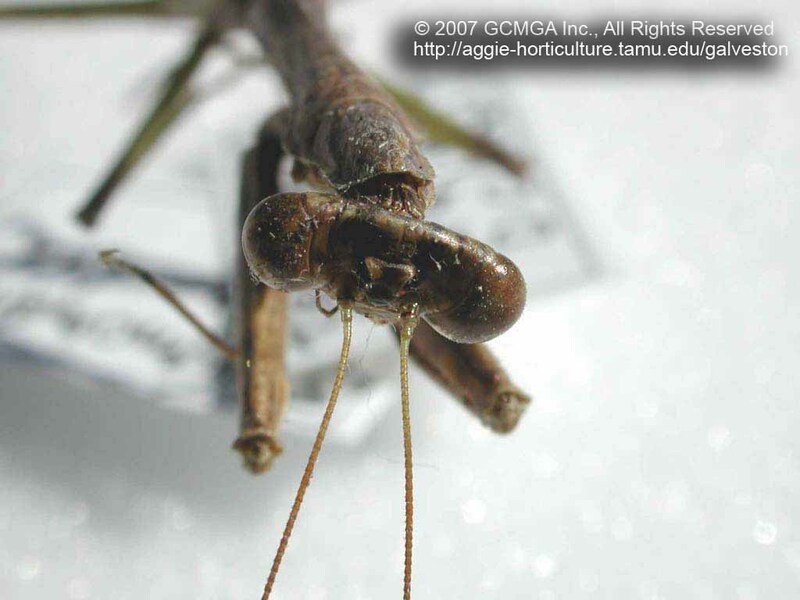 The praying mantis�s green to grayish-brown coloration offers excellent camouflage in plant foliage where it prefers to hunt. Their color can be somewhat altered by an individual to better match its specific surroundings. FIGURE 2. The immature stages of the praying mantis are called nymphs. They are skilled hunters and typically well-camouflaged to their habitat. FIGURE 3. The Carolina mantis (Stagmomantus carolina) female encases her eggs in a frothy secretion that hardens into a foam-like substance. An egg case may contain up to 300 eggs. Other species protect their eggs in a similar manner. 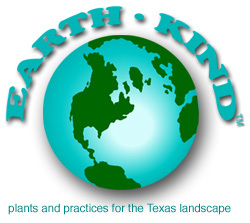 Occur across the Galveston-Houston region; however, populations seldom high enough to control high numbers of pest infestations. Just as the gypsy moth has nothing to do with gypsies and the emperor scorpion has nothing to do with emperors, so the praying mantis (Stagmomantus sp.) has nothing to do with praying. 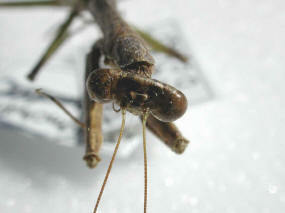 Quite the opposite: mantids specialize in preying! Wonderfully weird, the praying mantis is an almost perfect insect-hunting �machine.� Perhaps that is why mantids are one of the first species that comes to mind when the term �beneficial insect� is mentioned. 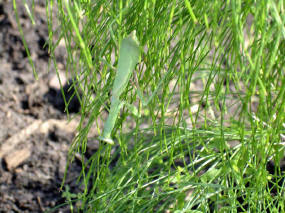 A praying mantis begins its life in an egg case of up to 300 eggs. 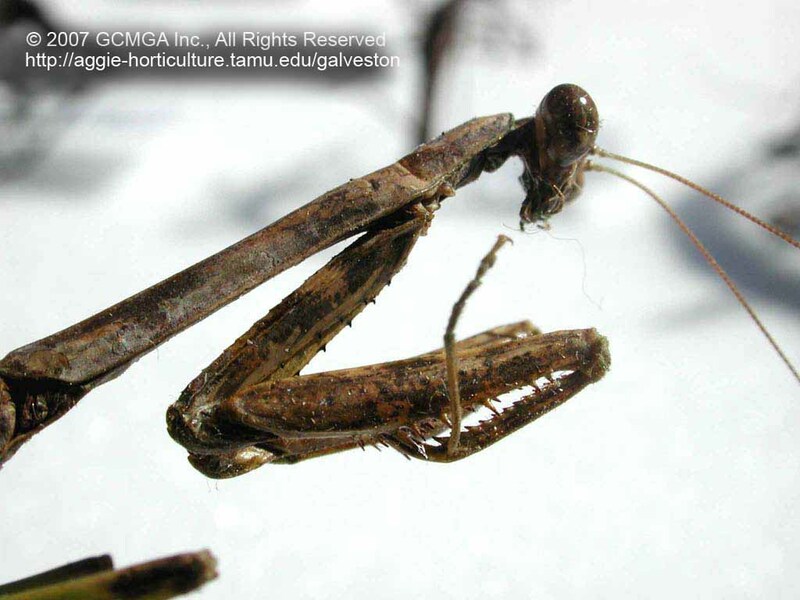 The Carolina mantis (Stagmomantus carolina) commonly occurs in Texas. Carolina mantis females encase their eggs in a frothy secretion that hardens into a foam-like substance. Her egg cases are rectangular, about one inch long and 3/8 of an inch wide, with rounded corners. Color varies from tan to white on top with darker sides. Look for them on twigs, vines and even under eaves of buildings. Other species protect their eggs in a similar manner. Since the life cycle of mantids involves simple metamorphosis, the egg hatches into a nymph, a wingless immature insect that resembles its parents. Nymphs immediately begin to hunt and eat small game. They will eat each other if other prey is not readily available. An immature individual may go through as many as twelve instars before it reaches adulthood. Mature adults usually live from spring to fall at which time they mate. 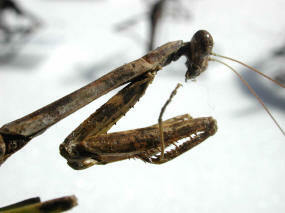 Within a few weeks after copulation, a female praying mantis usually die. The male literally loses his head during the mating process for the female simply bites it off and eats it. While this behavior is routinely observed in the laboratory, researchers think it is much rarer in the wild. Maybe these cannibalistic actions help explain why mantids are territorial loners. Mother Nature has gifted the mature praying mantis with a number of adaptations that make it a fearsome hunter. Very unusual in the insect world, the mantid�s elongated thorax functions like a neck, enabling the triangular head to turn almost 360 degrees. This feature combined with its two huge compound eyes and three single eyes, give the praying mantis a real advantage in spotting its next dinner. Each foreleg is modified to fold back like a pocket knife, with serrated, spiny edges that end with sharp hooks: all the better to catch and hold a squirmy lunch desperate to get away. Another advantage for the praying mantis is its coloring. 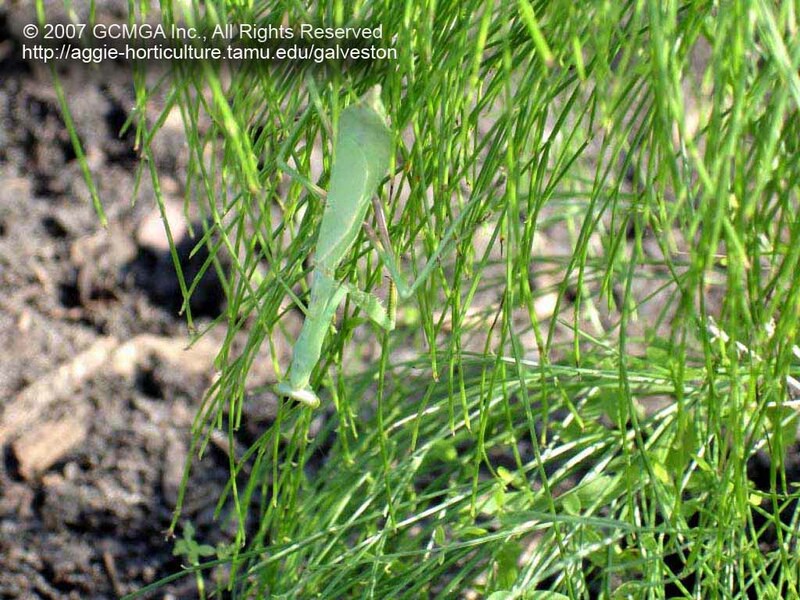 Not only does the mantid�s green to grayish-brown offer excellent camouflage in the plant foliage where it prefers to hunt, this color can be somewhat altered by an individual to better match its specific surroundings. The praying mantis will sit and wait or very slowly stalk its prey, sometimes swaying back and forth to mimic plants moving in a breeze, only to become lightning fast when it snares its unfortunate target. It immediately uses its strong mouthparts to start chewing the still-living prey. Sometimes, the mantid will bite its victim on the neck first, thus paralyzing the insect and avoiding its escape. It is the only predator that feeds at night on moths and is fast enough to catch flies and mosquitoes that venture within its grasp. All of these characteristics combine to make mantids formidable and almost perfect predators. Why the �almost� qualification? One problem is that the entire family is indiscriminate in what they eat. While they consume pests such as flies, crickets, moths and mosquitoes, they also devour other beneficial insects, including each other. Larger species (especially those in tropical areas) will chow down on lizards, small mammals and even hummingbirds. Even though the praying mantis may not be the perfect garden angel its reputation implies, it is one of the tools nature uses to maintain that ecological balance required for responsible, successful gardening. It can be used as a biological control agent. Such use requires careful study, proper identification of pests and their corresponding predators, and increased monitoring of the results of control agent introduction. And, to some of us, the praying mantis is so odd as to have enormous entertainment value!